The adoption of new productivity-enhancing technologies by manufacturing firms is clearly an important driver of economic development and growth. It can also be very slow. Observers of technological diffusion have found adoption to be surprisingly protracted in many different periods and contexts, from US steel firms (in a classic study by Mansfield, 1961) to Indian textile factories (Bloom et al. 2013). Why is diffusion (often) so slow? Despite the importance of the question, it is a difficult one to investigate empirically. 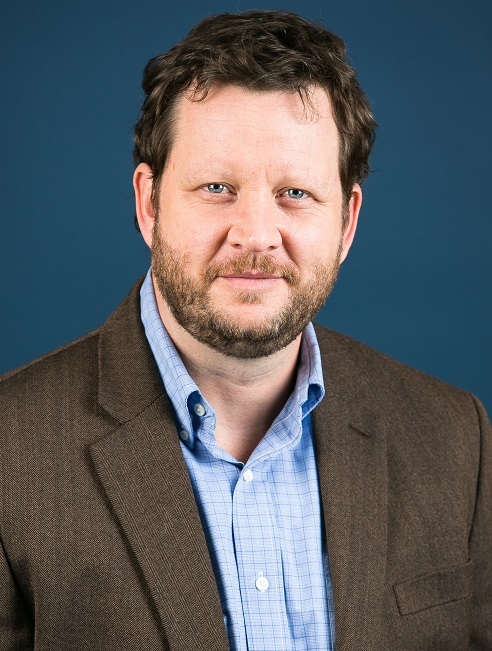 It is rare for researchers to have detailed data on technology use outside of agricultural settings, and even rarer to have accurate measures of the costs and benefits of technology. As we detail in a recent paper (Atkin et al. 2017), a fortunate series of events allowed us to conduct a pair of randomised experiments, which in turn led us to a novel explanation for slow adoption that is likely to have bite in many contexts: a misalignment of incentives between owners and workers. 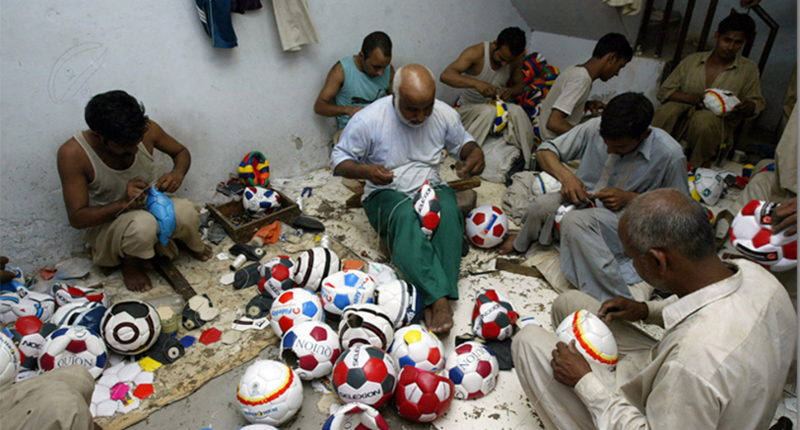 Our study focuses on a cluster of 135 soccer ball manufacturers in Sialkot, Pakistan. The cluster dates back to the late 19th century (Atkin et al. 2017) and makes around 30 million balls a year, employing thousands of workers. We offered to pay a consultant to come up with a new technology for us, but the consultant came up empty. Then one of the co-authors, Eric Verhoogen, happened to watch a YouTube video of a Chinese soccer ball factory and noticed that it was using a different pattern for cutting pentagons than the one we knew was in use in Sialkot (a standard ball uses 20 hexagons and 12 pentagons cut from an artificial leather called rexine). Eric Verhoogen and Annalisa Guzzini (an architect) drew up a blueprint for a new cutting die using the pattern (which, it turns out, is the most efficient packing of pentagons in a plane known to mathematicians). 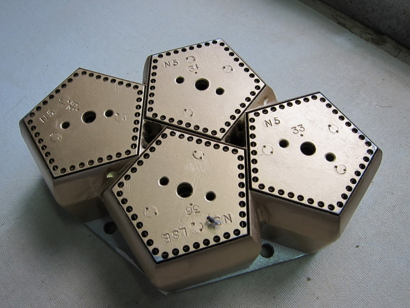 The improved die (shown in Figure 1) and cutting pattern reduce material wastage by about 7% and total costs by about 1%. This is a significant cost reduction for an industry with average profit margins of about 8%. Figure 2 shows the new cutting pattern. We gave this new die and blueprint with the cutting pattern, for free, to a randomly selected group of soccer ball manufacturers and sat back to watch its diffusion across the cluster. A few firms adopted, including one of the largest firms in town, but generally we were puzzled to find that few of the firms we gave the die to, adopted the cost-saving technology. Firm visits and qualitative surveys led us to believe that the low adoption was in part due to a misalignment of incentives between company owners and workers. Like many workers in low-tech manufacturing, the workers who cut the artificial leather were paid piece rates, based on the number of hexagons and pentagons they produced. The new cutting pattern was more difficult to implement and slowed the cutters down initially as they familiarised themselves with it. This meant that their salary effectively fell with the introduction of the new technology. They saw none of the owner’s gains from reduced wastage. Anecdotal evidence suggested that cutters were blocking adoption by misinforming company owners, who had less expertise than the cutters regarding the cutting process, about the benefits of the new die. To investigate this idea, we ran a second experiment. The firms that were originally given the technology were divided into two groups. In the first group, firms were given reminders about the cost saving benefits of the new technology. In the second group, the main cutters were given a lump-sum incentive payment, equal to a month’s salary, if they could demonstrate the effectiveness of the new die and cutting pattern in front of the owner. This one-off payment compensated the workers for the foregone earnings from the slower technology, and led workers to reveal the benefits of the technology to the owner. This modest lump sum payment led to a statistically significant increase in technology adoption. A natural question is why the firms themselves didn’t adjust their payment schemes to incentivise their workers to adopt the new die. Perhaps company owners didn’t realise that a different payment scheme was possible or beneficial; alternatively, contracts may be sticky so that the costs of changing payment schemes were greater than the expected benefits. Either way, many owners did not adjust contracts, leaving scope for our modest incentive payment to have large effects on adoption. There is evidence of complementarity between a technological innovation (the new die and cutting pattern) and an organisational innovation (incentive payment or wage contracts that reward revealing a beneficial technology). We expect this to hold in other settings: technology adoption often requires organisational changes. There appears to be inertia in employment relationships that can hinder technological change. Employment relationships, once established, are difficult to modify. Our experiences in Pakistan lead us to believe that for technology adoption to be successful, employees need to have an expectation that they will share in the gains from adoption of these technologies. Atkin, D, Chaudhry, A, Chaudry, S, Khandelwal, A K, Raza, T and Verhoogen, E (2017), “On the Origins and Development of Pakistan’s Soccer-Ball Cluster”, World Bank Economic Review, 30 (S1), S34-S41. Atkin, D, Chaudhry, A, Chaudry, S, Khandelwal, A K and Verhoogen, E (2017), "Organizational Barriers to Technology Adoption: Evidence from Soccer-Ball Producers in Pakistan", Quarterly Journal of Economics, 132(3), 1101-1164. Bloom, N, Eifert, B, Mahajan, A, McKenzie, D and Roberts, J (2013), “Does Management Matter? Evidence from India”, Quarterly Journal of Economics, 128, 1–51. Mansfield, E (1961), "Technical Change and the Rate of Imitation”, Econometrica, 29, 741–766.